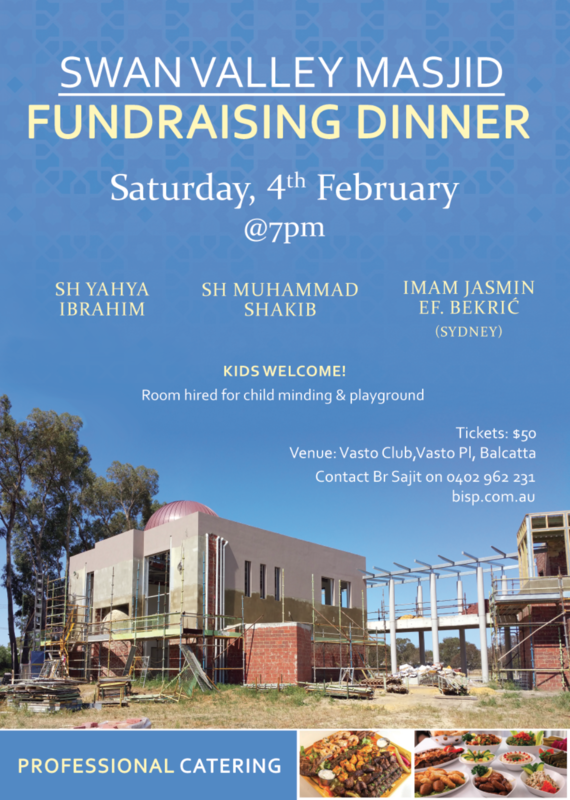 Fundraising Dinner 4th Feb 2017 – Bosnian Islamic Society Perth WA Inc. This year has seen us commence the construction of the Swan Valley Masjid. Alhamdulillah a lot has been accomplished but we are still in need of further funds in order to complete the Stage 1 and open the Masjid to the community. With this in mind we are organinsing a fundraising dinner with hopes to help raise funds so we can complete this noble project. So join us on February 4th and help support the community. There will be professional catering and we have organised a kids room as well where they can have fun on the night! To purchase tickets or for more information please contact Br Sajit on 0402 962 231 or Behudin on 0433 360 618.